Dress up bell peppers and mushrooms with an easy chimichurri sauce. 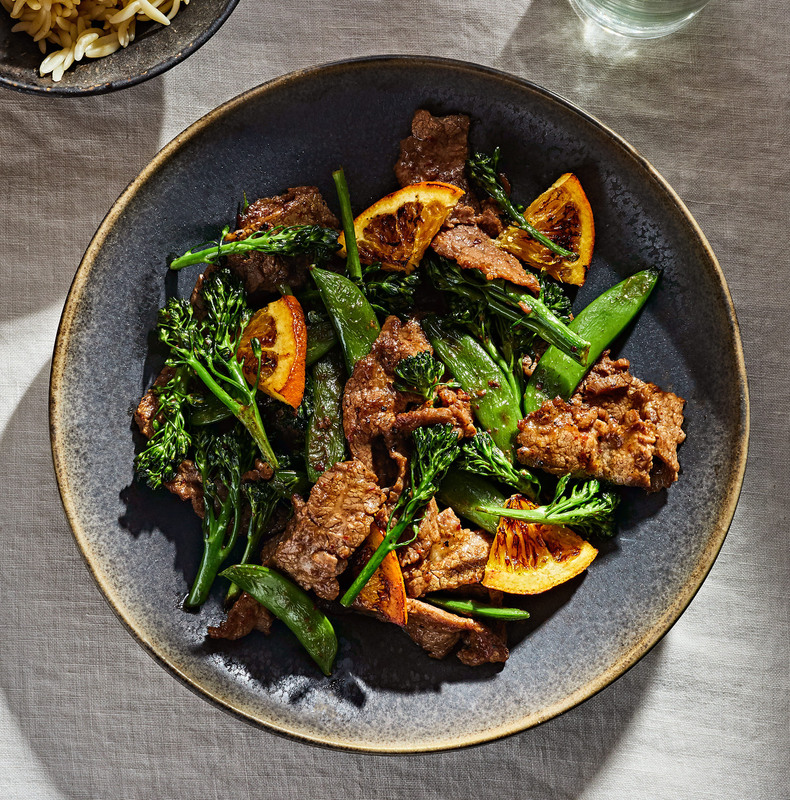 "This wholesome grilling option is fresh, savory, and hearty," says chef Kathryne Taylor of this recipe from her new vegetarian cookbook Love Real Food. 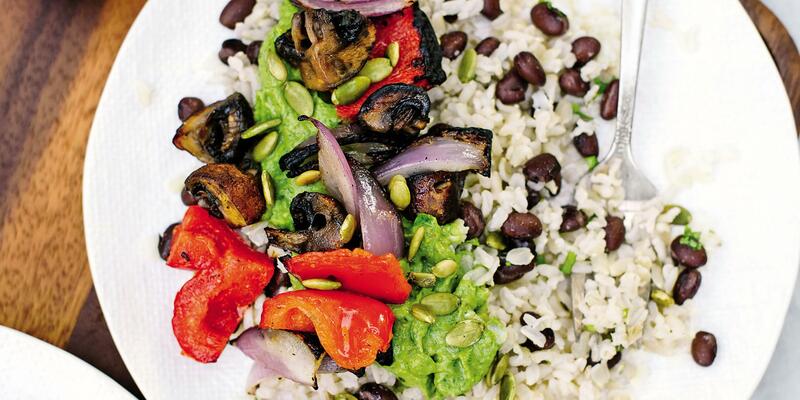 "The creamy, zippy avocado sauce and freshly toasted pepitas transform veggies and rice into an exciting and complete, plant-based barbecue meal." To prepare the rice and beans: Bring a large pot of water to boil over high heat. Pour in the rice and drop in the bay leaf. Give the mixture a brief stir and let it boil for 30 minutes, reducing the heat if necessary to prevent overflow. Drain the rice, return it to the pot, cover, and let it rest for 10 minutes off the heat. Discard the bay leaf and fluff the rice with a fork. Stir in the cilantro, lime juice, olive oil, and salt. Add the black beans and gently stir to combine. Cover until you’re ready to serve. To make the chimichurri sauce: Using a spoon, scoop the flesh of the avocados into a food processor. Add the parsley, cilantro, garlic, vinegar, pepper flakes, salt, and a few twists of black pepper. Process, stopping to scrape down the sides of the container once or twice. With the machine running, slowly stream in the olive oil and water. Add another tablespoon or so of water if you’re having trouble blending the mixture. Taste and add more salt and pepper if necessary. Set aside. To grill the veggies: Preheat your grill to medium heat. To prepare the mushrooms for grilling, slice them so they are evenly sized—use a sharp knife to quarter the large mushrooms, halve the medium mushrooms, and leave small mushrooms whole. Combine the prepared mushrooms, bell peppers, and onion in a medium bowl. Drizzle in the olive oil and sprinkle with salt and pepper. Toss until the pieces are lightly coated in oil, then thread the mushrooms, peppers, and chunks of onion onto skewers, alternating the vegetables as you go. You should have enough for 8 skewers. 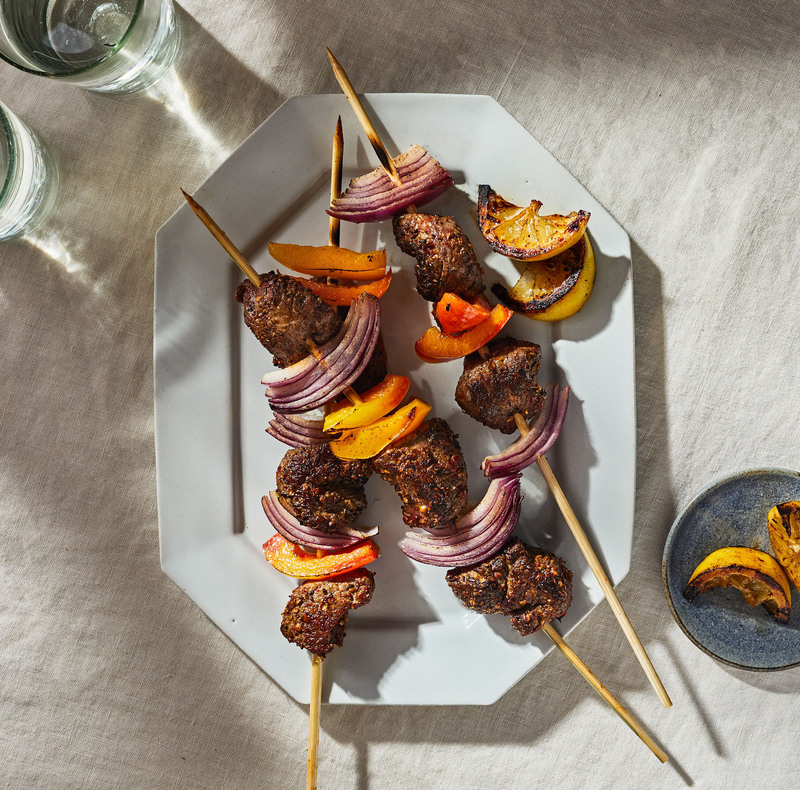 Place each skewer on the grill. Turn the skewers by 90 degrees once the undersides have developed good grill lines. Continue cooking and turning until the vegetables are tender throughout, 10 to 15 minutes. Carefully transfer the skewers to a platter once they’re done. Meanwhile, in a small skillet, toast the pepitas over medium heat, stirring often, until they turn golden on the edges and make little popping noises, about 5 minutes. When you’re ready to assemble, spoon the rice and beans onto 4 plates. 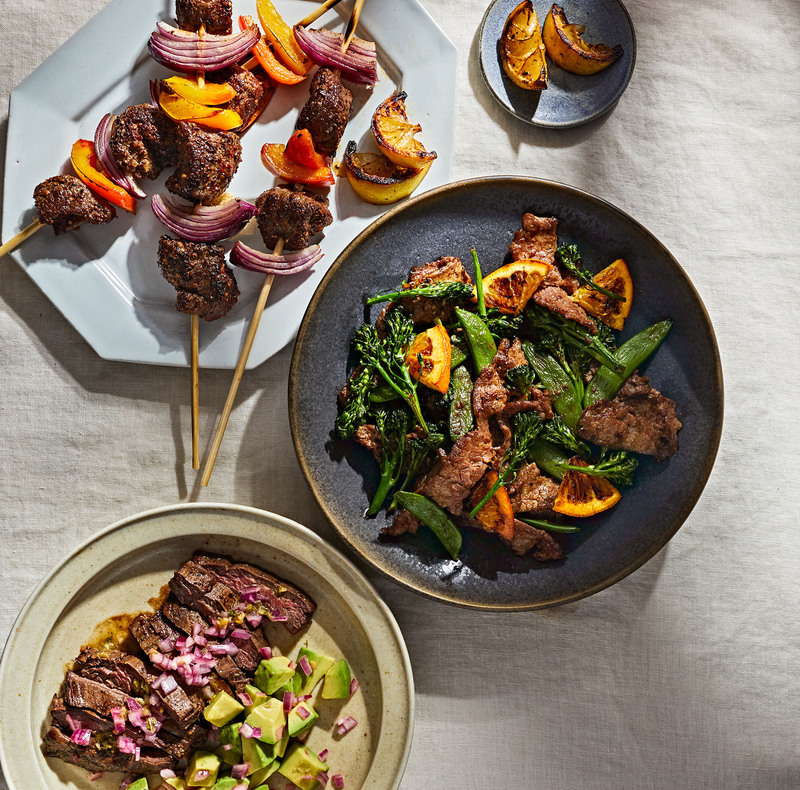 Top each plate with 2 skewers, a generous drizzle of avocado chimichurri sauce, and a sprinkle of pepitas. Serve immediately. If you intend to have leftovers, store the avocado chimichurri sauce separately from the rest in a small bowl with plastic wrap pressed against the top to prevent browning. Reheat the rice and beans and veggies, then drizzle with sauce just before serving.